A partner in our San Francisco office, Sarah R. London is a determined, skilled, and experienced advocate for the injured, employees, and consumers. Over the past several years, Sarah has taken on leading roles in a number of women’s health cases, including serving on the Plaintiffs’ Steering Committee in the Zofran prescription drug injury cases involving birth defects attributed to off-label promotion of Zofran as an anti-nauseal to pregnant women, and a further leadership role in cases relating to serious injuries suffered by women due to complications from allegedly defective trans-vaginal surgical mesh used to treat pelvic organ prolapse and stress urinary incontinence. Sarah has also been directly involved in several recent environmental disaster cases, including litigation against Plains All American Pipeline arising out of the 2015 oil spill in Santa Barbara, and two important class action cases on behalf of homeowners and businesses that suffered economic injuries in the wake of the massive Porter Ranch gas leak, which began in October of 2015 and lasted into February of 2016. Sarah has distinguished herself as an active member of fourteen trial teams, and is experienced in all aspects of trial work, from drafting and arguing motions in limine, opposing Daubert challenges to plaintiffs’ experts and deposing defendants’ experts, and serving as lead trial counsel to writing successful post-trial and appellate briefs. In February 2015, Sarah served as lead trial counsel in a lawsuit in the Florida smokers litigation, obtaining a $3 million judgment for the plaintiff. The previous year, she served as second chair in a trial in the same litigation that resulted in a $41.1 million jury verdict. The trial successes of Sarah and other Lieff Cabraser trial lawyers contributed substantially to convincing the tobacco industry defendants to agree, for the first time ever, to a mass settlement of individual smoker lawsuits. Sarah was also deeply involved in preparing one of the initial cases in the Yaz birth control injury litigation – a “bellwether” case – selected for trial. She deposed fact witnesses and physicians and successfully opposed motions filed by defendant Bayer Corporation to exclude certain damaging scientific evidence. Sarah assisted our clients outside the courtroom, including accompanying one of Lieff Cabraser’s clients whose 19-year old daughter died suddenly while taking Yaz to testify before a scientific advisory committee of the U.S. Food and Drug Administration convened to review the safety of Yaz. Sarah’s expertise in pre-trial motions includes successfully overcoming statutes of limitations defenses in personal injury cases. In the Toyota Sudden Acceleration litigation, the Court denied Toyota’s motion to dismiss cases where Lieff Cabraser’s clients were unaware of Toyota’s alleged fraud and defective design until several years after their vehicles inexplicably sped out of control and caused permanent and, in some cases, fatal injuries. Sarah’s trial successes also include class action litigation. In the Norvir antitrust case, a group of pharmacies alleged that Abbott Laboratories monopolized the market for HIV medicines used in conjunction with Abbott’s prescription drug Norvir. Sarah worked extensively on the case’s trial preparation, researching and drafting motions in limine, voir dire questions, jury instructions, and trial stipulations. In 2011, the case settled during trial for $52 million. 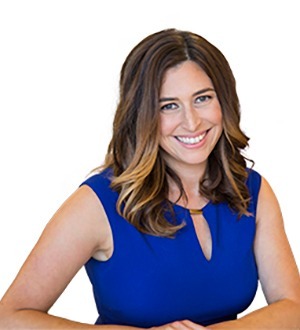 A Super Lawyers Rising Star for six consecutive years and 2015 finalist for the Consumer Attorneys of California Streetfighter of the Year Award, Sarah has held multiple leadership positions in CAOC, including her current position as Women’s Caucus Legislative First Vice Co-Chair. She has served on the Board of Governors and was membership chair of the New Lawyers Division. She also serves on the Board of Directors for the San Francisco/Marin YWCA.